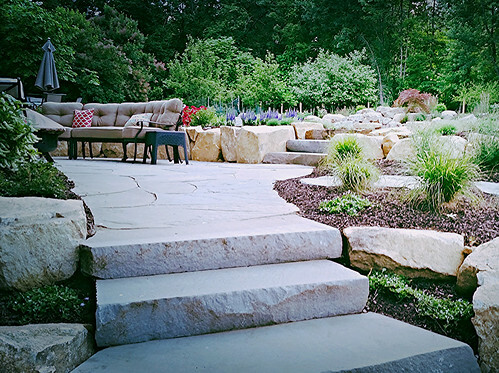 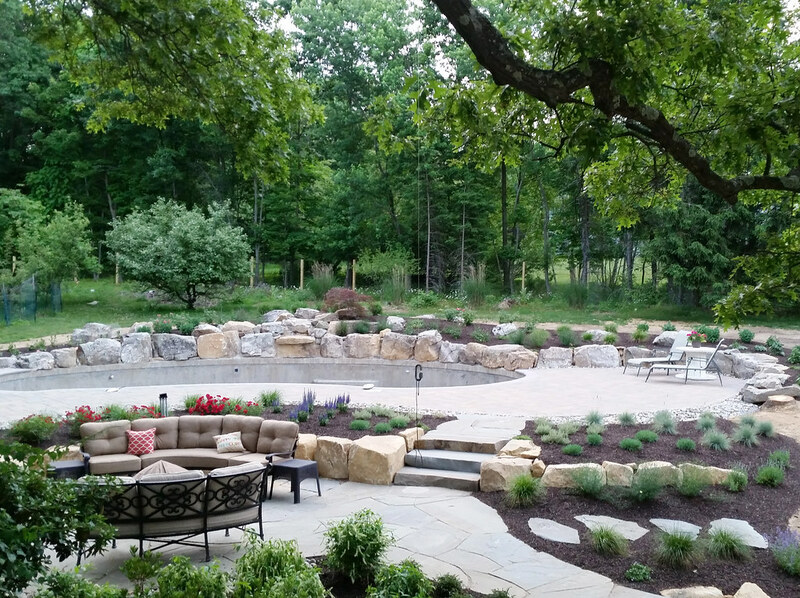 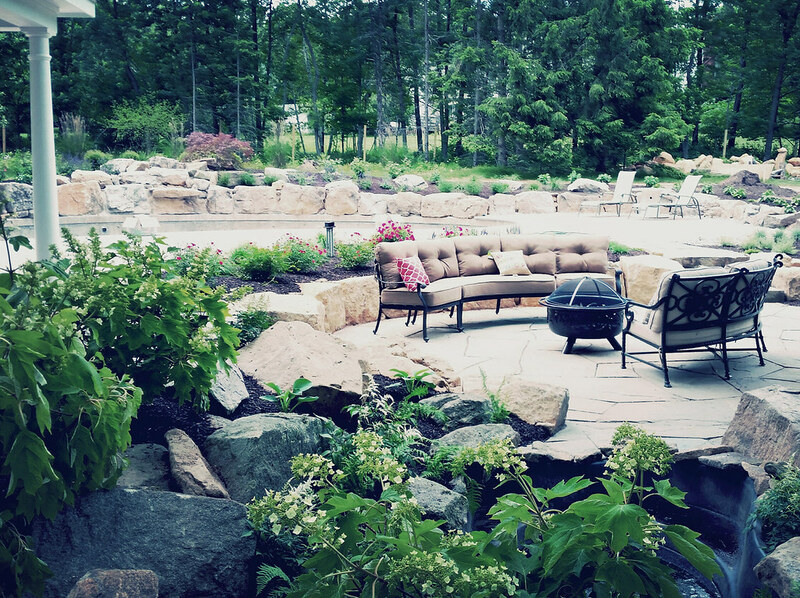 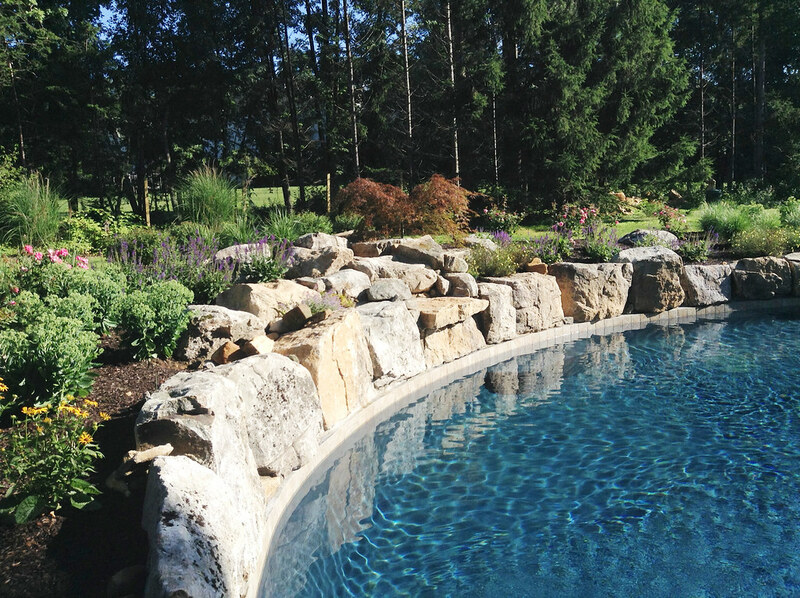 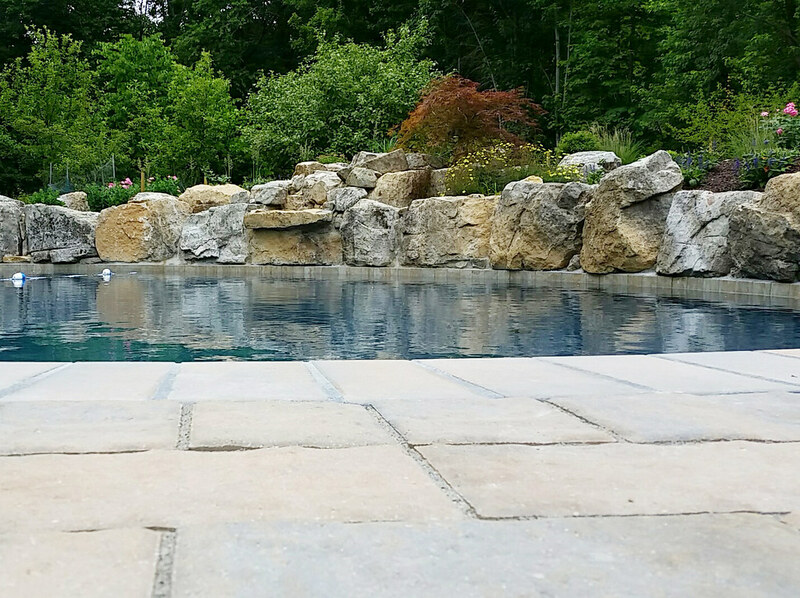 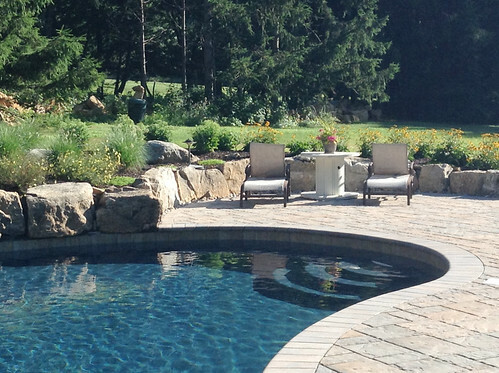 We transformed a Califon backyard by working in conjunction with the landscape architect to implement his vision for the pool installation. 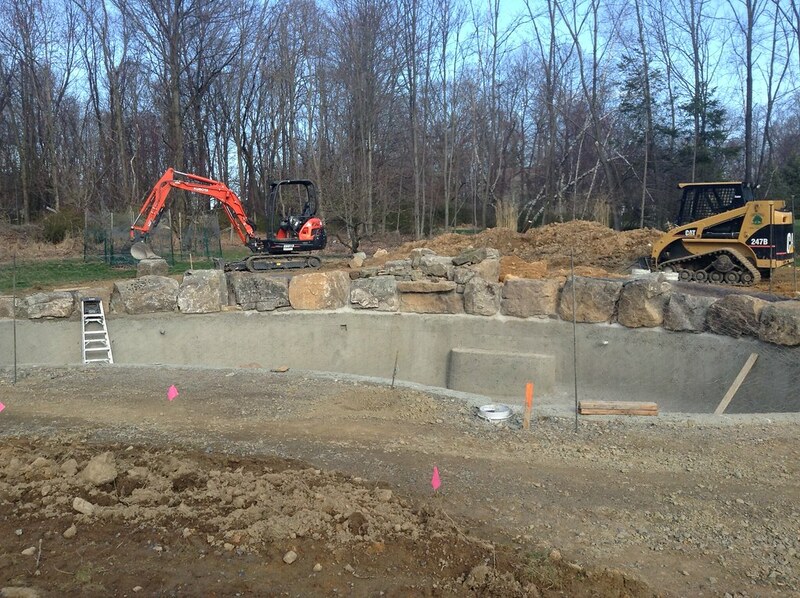 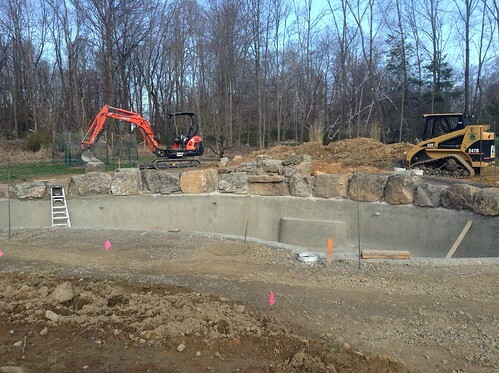 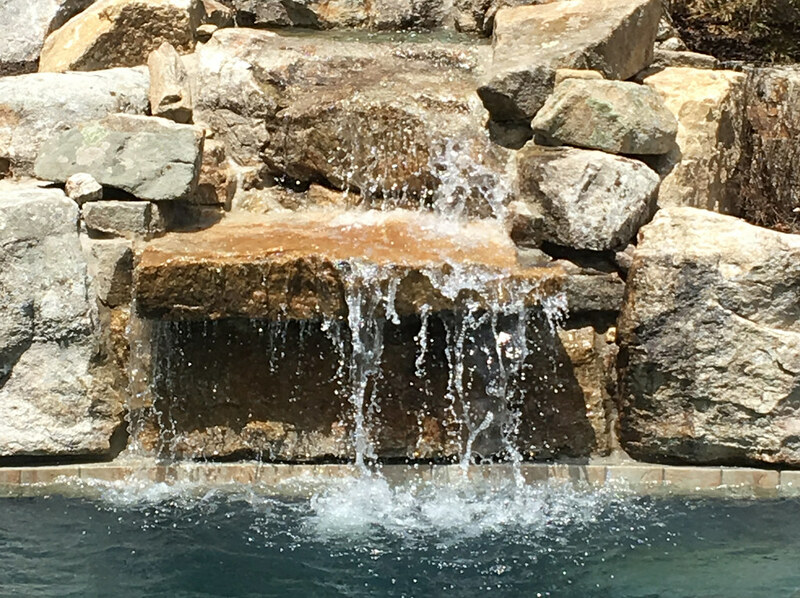 We utilized natural boulders for the pool beam, waterfall, and various walls to accommodate the grade change from the house to the pool. 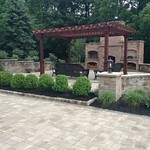 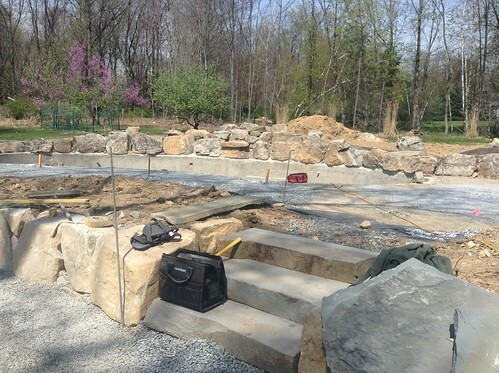 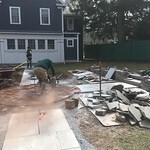 Paving materials consisted of broken bluestone for the pathway to the pool and the fire pit area. 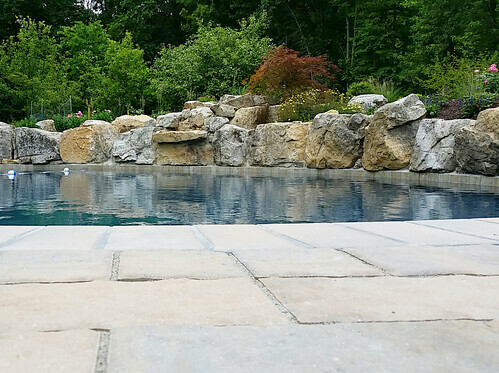 A large scale paving stone was used to create a family friendly surface around the pool and to unite the pool with house. 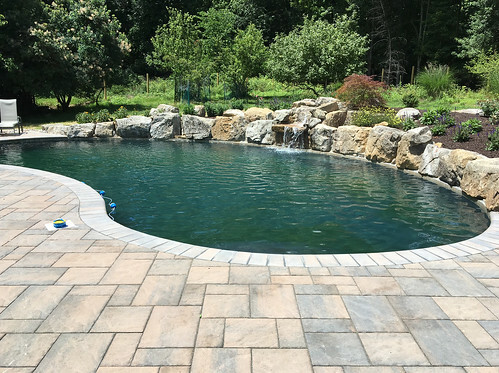 Extensive drainage was installed around the pool and house to satisfy engineering requirements and to protect the property. 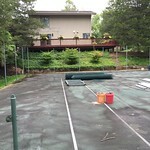 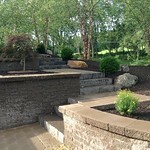 The project was accented with natural plantings and lawn areas were finished once construction was completed. Nestled in the hills of Hunterdon county , GPL was invited in to help solve challenges facing this recently updated colonial located in Flemington, NJ.